March is the next month of this new series, "Stitch & Piece"! 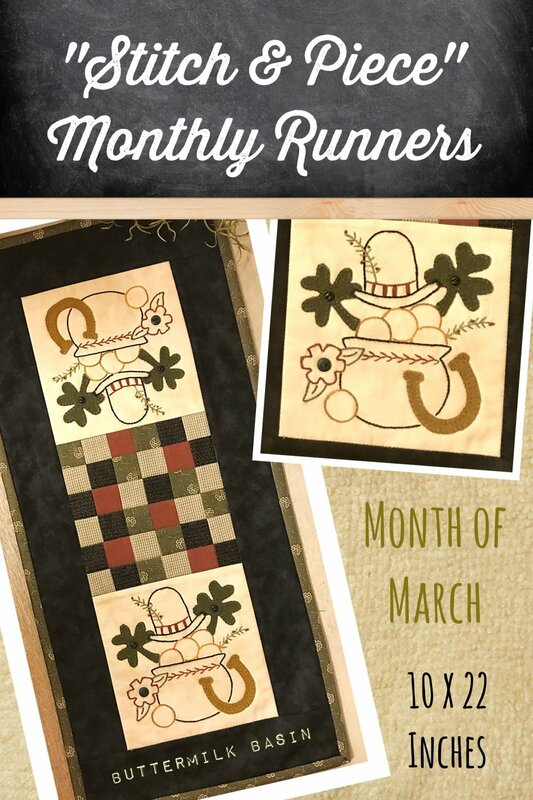 The runner is 10" x 22", and features a stitched pot of gold filled with wool shamrocks & a "lucky" horseshoe! The kit includes wool and fabric for piecing and binding. March is the second month of this new series, "Stitch & Piece"! The runner is 10" x 22", and features a basket of May flowers. 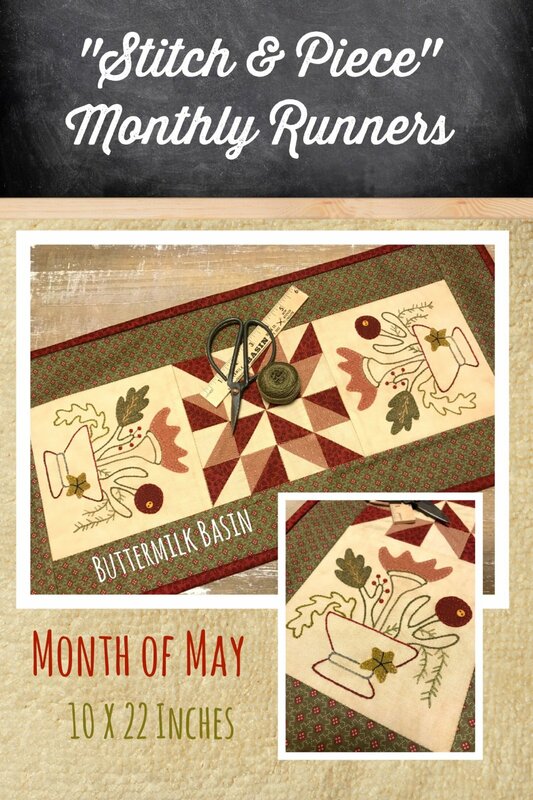 The April Stitch & Piece Runner is raining spring fun, with the cute rain boots and umbrella! The gorgeous fabrics and wool in this 10" x 22" runner are perfect for spring! The kit contains the fabric(no backing) and wool to make the runner. 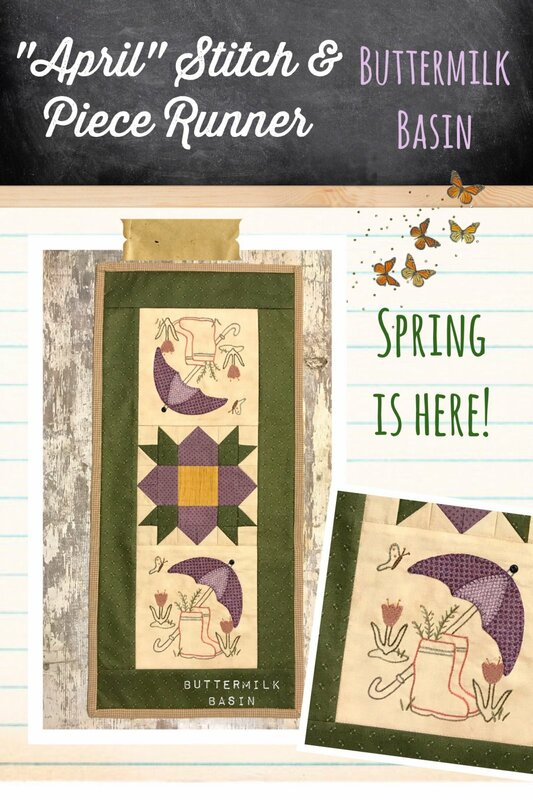 The April Stitch & Piece Runner is raining spring fun, with the cute rain boots and umbrella! This is for the pattern. May is the first month of this new series, "Stitch & Piece"! 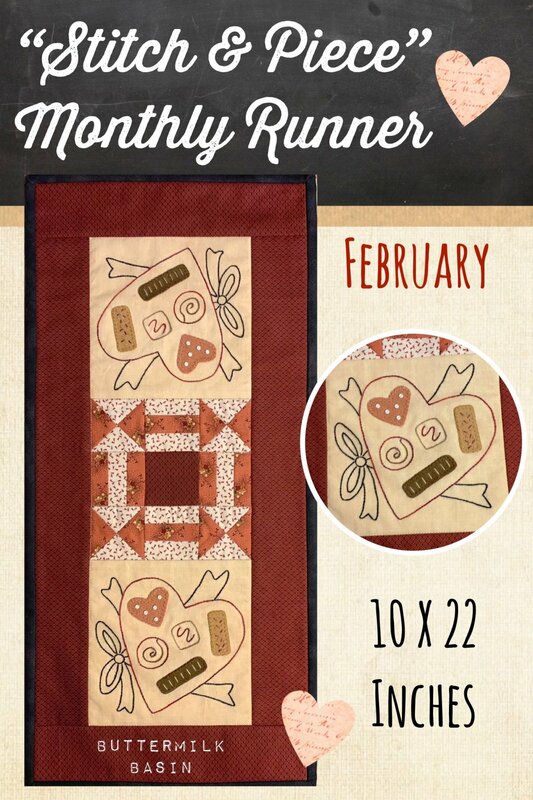 The runner is 10" x 22", and features a stitched basket with wool flowers, leaf, and star. The kit includes wool and fabric for piecing and binding. May is the first month of this new series, "Stitch & Piece"! 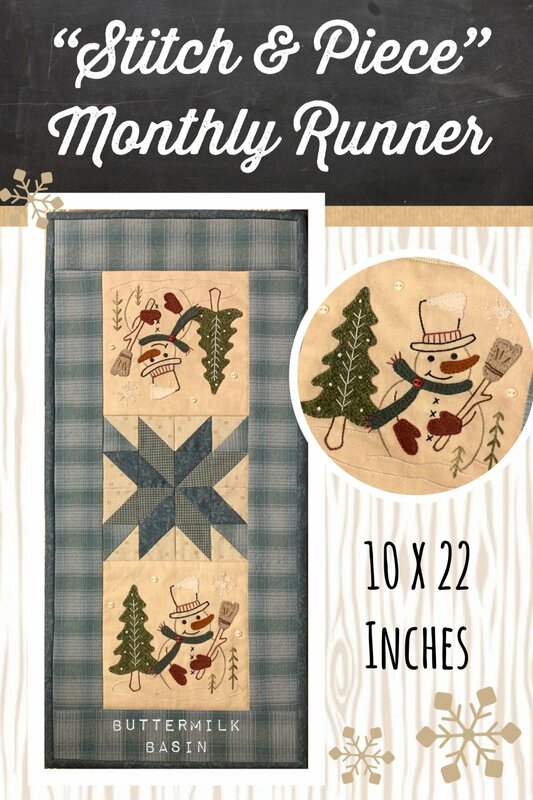 The runner is 10" x 22", and features a basket of May flowers. 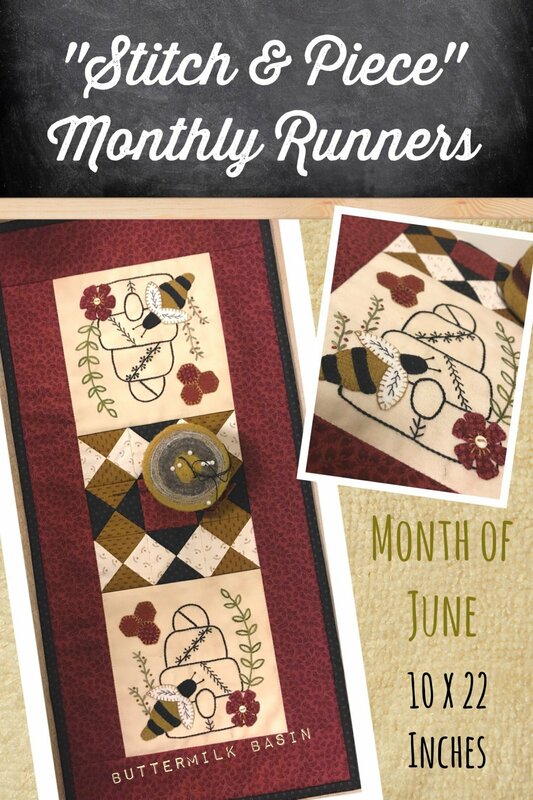 The button pack for the May "Stitch & Piece" monthly runner includes the 12 buttons featured on the runner.